Dr. Buckner F. Melton Jr. and Dr. Carol Willcox Melton, both members of the history faculty at Middle Georgia State University, will sign copies of their new book, “"Fuller E. Callaway: Portrait of a New South Citizen," from 4 to 5 p.m. Thursday, Nov. 12, at the Macon Campus bookstore, and from 1 to 3 p.m. Saturday, Nov. 14, at the Cochran Campus bookstore. The Cochran signing will take place during open house for The Georgia Academy and the grand opening of the campus's relocated bookstore. Both signing events are open to the public. Light refreshments will be served. Copies of the book may be purchased at the campus bookstores. Callaway, an American textile manufacturer from LaGrange,Ga., was regarded as one of the leading industrial magnates of the Southern U.S. during the first decades of the 20th century. 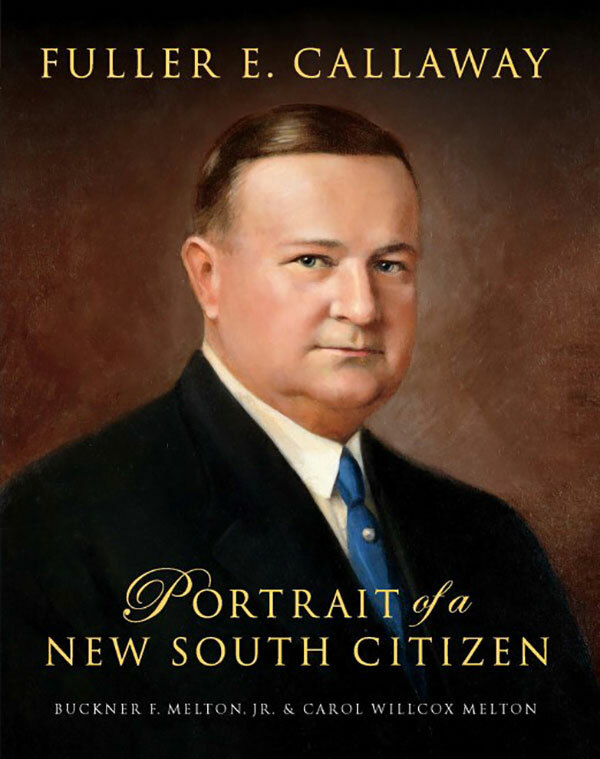 The biography was just published by Looking Glass Books in conjunction with the Georgia Humanities Council and the Fuller E. Callaway Foundation. For more information, contact the Middle Georgia State University Campus Stores at (478) 934-3041.